Melinda Winton (left), Manager of Walmart SuperCenter in Atlanta, Texas, presented a $1,000 donation from the Walmart Community Grant Program to the Linden Heritage Foundation’s 1939 Firehouse Rescue Fund on June 3, 2016. 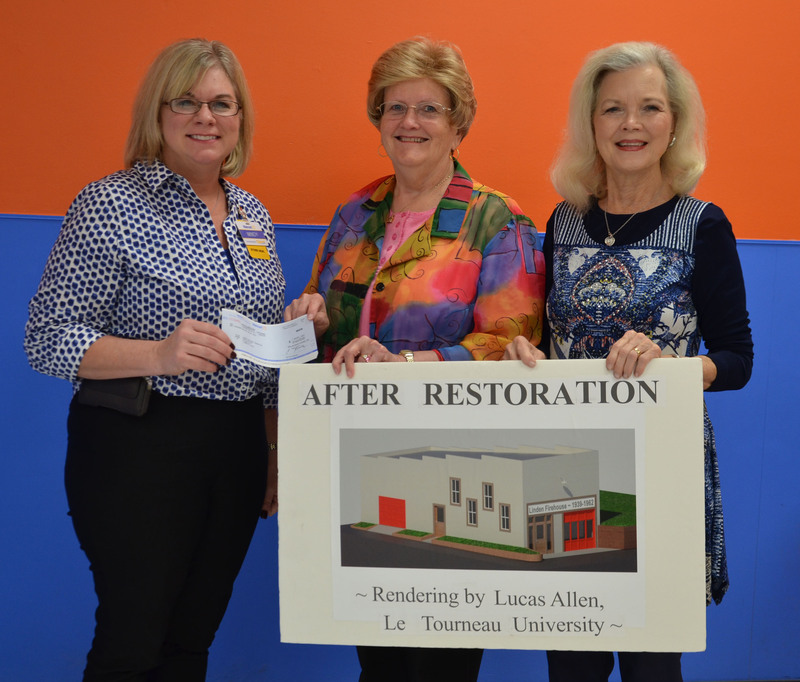 Jana C. Bounds (middle) and Charlotte Wells (right) accepted the check on behalf of the Linden Heritage Foundation. Photograph courtesy of Jo Anna Duncan’s Front Porch Treasures Studio on Facebook at https://www.facebook.com/FrontPorchTreasuresStudio. Thank you Melinda for supporting the Linden Heritage Foundation request to the Walmart Community Grant Foundation. Charlotte and Jana, appreciate your work to obtain the grant and Jo Anna, appreciate you “capturing the moment” of its presentation.